What makes a great leader G R E A T? When you think about the phrase "great leader" who pops up in to your mind first? Your mother? Your third grade teacher? Abraham Lincoln? Leave a comment below letting us know what traits this great leader possesses that ordinary leaders lack. 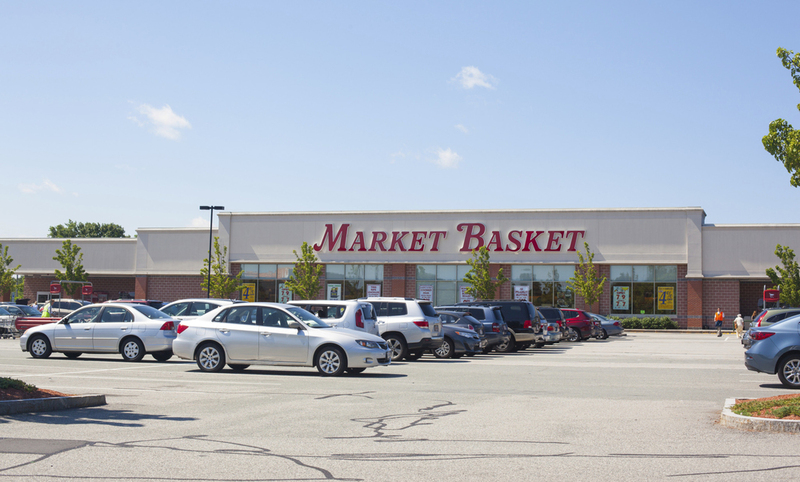 Employees of Market Basket Foods, a Northeast grocery chain, have been organizing rallies to reinstate their fired president, Arthur T. Demoulas. According to his employees, senior management, and community members, Demoulas had a top notch business philosophy; he paid workers well, funded retirement accounts, had a personable disposition, and kept prices low. So why was he fired? According to an article in the Boston Globe, the firing stemmed from a decades long family feud. Want to learn how to inspire leadership across all levels of employees? Download the first chapter of Do Lead for free today. Join us on these networks for up to date leadership news. It's your responsibility as an in-front leader to inspire team members to want to make a significant impact, not just improve their status within the company. Everyone on your team should be leading regardless of their title or position. Do Lead wants to know--what kinds of things have you done as an in-front leader to inspire leadership from within? Download the first chapter of Do Lead for free today and discover what it truly means to be a great leader. Follow us on the following networks for leadership inspiration. Wondering whether or not you are a leader? Being a leader doesn't mean you have the corner office, a devoted secretary, and 3 weeks of paid vacation. Rather, anyone that inspires others to dream more, learn more, do more and become more is a true leader. Want to learn how to be a great one? Download the first chapter of Do Lead for free today. Great leaders understand that nothing is permanent and that there is no one tried and true formula to obtain success. What worked yesterday, might not work today. Great leaders are constantly evolving with the times and getting better with every misstep. If you don't like where your team is headed, change it. You aren't a tree! Hit the refresh button on your leadership approach by downloading the first chapter of Do Lead for free today. For the past few months we have been running a fun contest on our Facebook page. To enter, contestants had to answer 5 easy questions and then a daily winner was drawn from the entrants. Every winner received a deck of Do Lead cards, adapted from the book, that were intended to inspire leadership across all levels of an organization. When one of our winners, Lisa Blair, received her deck of Do Lead cards in the mail, she decided to put them in to action right away and share her experience with us! Below are a few of the cards that she's shared so far. As you go through the images, think about what your answers would be to the questions. Here is a picture of Lisa's team members sharing the card "What do you believe your core skill to be?" This card reads "What do you take on that you should leave to others?" Lisa's team unanimously answered "technology." This card reads, "About what have you heard all that you ever want to know?" Lisa's answer was "legislation and red tape." When Lisa drew the card "What type of environment juices you creatively?" she sent us this picture. That view definitely looks inviting! Last but not least we share with you Lisa's answer to "What type of environment drains you creatively?" Lisa says, "I took your stupid card to the stupid market with lots (and lots) of stupid people and a stupid shopping list and it was horrid. And I forgot to buy most of the stupid things on the stupid list. I don't think I feel very creative in crowds." Ha! Looks like Lisa Blair knows exactly the kind of environment she needs to avoid if she wants to be creatively inspired. Thanks so much for sharing your Do Lead journey with us Lisa Blair! We hope that the cards inspire leadership amongst all of your team members. To everyone else, download the first chapter of Do Lead for free here for leadership inspiration. Taking the reins on every project is exhausting. Just because it sometimes works, doesn't mean it's the only route (or the best route) to success. Great leaders know that there is no magic formula that brings success and that working smarter always trumps working harder. Instead of spreading yourself too thin, you should be trying to ignite the leadership flame within all of your team members. Download the first chapter of Do Lead for free and get started building that successful, hardworking team today. Follow us on the following networks for even more inspiring leadership quotes. In segment 1, Les discusses leadership within organizations and dispels the myths that are usually associated with this "heroic" word. In segement 2, Les explains how to foster and leadership at all levels of your organization. Denise Lee Yohn--brand-building extraordinaire, speaker, and author of What Great Brands Do--recently interviewed Les McKeown on her Brand-as-Business Bites Podcast. In the interview Yohn says, "Do Lead challenges many of the myths that are out there about leadership, including most importantly, what leadership really is." Listen to Les' response as well as the rest of the interview here. Denise also reviewed Do Lead on her website. In her review, Denise mentions that Do Lead is a "handbook for anyone who wants to make a difference. You can read it in less than an hour but it will make a lasting impression." Read what her favorite parts of the book were here. Thanks so much for the solid write-up Denise Lee Yohn! Want fresh ideas and clear cut tools for Brand-Building Success? Make sure to check out her website. What is the difference between being a good manager and being a good leader? The above quote by Peter Drucker pretty much sums it up. Start by downloading the first chapter of Do Lead for free and learn how to lead your team to success today. Follow us on the following networks for more leadership inspiration. Though Asian-Americans are the biggest non-white demographic in US companies, there is still a lack of Asian-Americans that hold leadership roles. In the US, 75% of top-management is usually white. This glass ceiling is being referred to as the bamboo ceiling. According to a recent article at NPR, a program at Stanford titled "Executive Education for Asian-American Executives" aims to close this gap once and for all. The program costs upwards of $12,000 and aims to teach Asian-Americans the skills that are traditionally required to get ahead in a Western work environment. Some of these skills include assertiveness, initiative, confrontation, and confidence. What do you think about this program? Do you think it will work? We'd love to hear your feedback! Leadership is not heroic. Anyone can and should lead, regardless of position or title. If you are ready to take the leap and get started leading, download the first chapter of Do Lead for free today. Not only does Do Lead redefine what leadership is, it provides you with a practical toolkit to get started. Want to get to know your employees better while also empowering them as leaders? Incorporate your deck of Do Lead leadership cards into your employee outreach strategy. Before every meeting--draw a few cards from the deck and let everyone in the room give his or her answer. Their answers will offer insight as to what each individual's strengths truly are. Eventually, each employee will learn to embrace his or her leadership potential and start taking the reins on projects that need his or her expertise. Want to win your own deck of Do Lead leadership cards? We are giving away one deck away each day. All you have to do is answer five easy questions on our Facebook page, and you will be automatically entered into our contest. Download the first chapter of Do Lead for free today and learn how to inspire leadership within every member of your team.